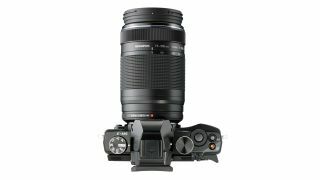 Olympus has announced new 75-300mm super telephoto lens, for its range of PEN and OM-D cameras. The f/4.8-6.7 lens offers an equivalent focal length - in 35mm terms - of 150-600mm, enabling the capturing of distant subjects. Olympus has redesigned this lens to match the OM-D and PEN series cameras, but like its predecessor it still boasts leading tech, including the MSC mechanism and the new, advanced ZERO (Zuiko Extra-low Reflection Optical) lens coating. Also on board is Super ED (Extra-low Dispersion), ED and HR (High Refractive index) lens elements that reduce ghosting and flaring across the entire zoom range, even in bright light it is promised. A circular aperture is fitted to help achieve smooth and even background defocusing. The autofocus mechanism promises to be extremely fast thanks to MSC (movie and still compatible) technology which is also near silent. The M.ZUIKO ED 75-300mm f/4.8-6.7 II lens price will be £499.99 - which the company claims is very competitive when compared to previous lenses. As Panasonic shares the Micro Four Thirds format, the lens is also compatible with the G series range of compact system cameras.